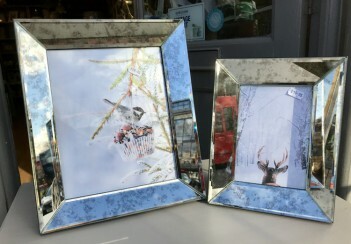 Mottled, mirrored glass photo frames available to take either a 5x7 inch or 10x8 inch photo. They are designed to be freestandng in either portrait or landscape orientation. Please click on the photos to see larger and alternative photos. Please note the information on our delivery page regarding sending items containing glass.